Do you know what patients most want from you, so that they follow your treatment plans and purchase eyewear in your optical? It just might be an emotional connection. Here’s what I learned about the top ways to create that connection, so patients are kept happy, and eager to refer others. The Harvard Business Review conducted a survey on what motivates consumers (hbr.org, Aug, 2016). In tracking the customer experience and activity across several different areas, both physical stores and e-commerce sites, research showed that the most effective way to maximize customer value was to connect with customers on an emotional level. This applies to your patients, too. Most patients assume they will get the same quality eye exam from almost all optometrists. What’s not guaranteed, however, is a feeling of connection and being a valued patient. Harvard Business Review noted that when a doctor appeals to the patient’s emotional motivators, a patient’s satisfaction skyrockets. So what emotional motivators drive a patient’s behavior? Here are high-impact motivators identified in the study that significantly affected customer value across all categories. Everyone wants to feel like they fit in and belong somewhere. Social media apps have exploded in popularity because they create a community. There are special groups for your particular interests. Are you a big reader? There’s a group online for that. Are you an avid tennis player? You can find tennis communities on social media, too. There are even special groups on social media web sites for optometrists. How can you create that same sense of belonging within your practice? Does your staff greet your patients by their names? MIT research shows that every time you hear your name, your brain lights up in the pleasure zone. Do you know your patient’s job? Hobbies? Hometown? When you talk about things that are important to your patient, not only does it create a bond between the doctor and the patient, it personalizes their experience beyond just an eye exam. They feel like they belong. Forty percent of adults suffer from some form of anxiety (National Institute of Mental Health, 2014). Many people claim anxiety and worry involves the health and well-being of themselves and their families. A deep motivation for any doctor’s visit, is to gain knowledge that we are healthy. 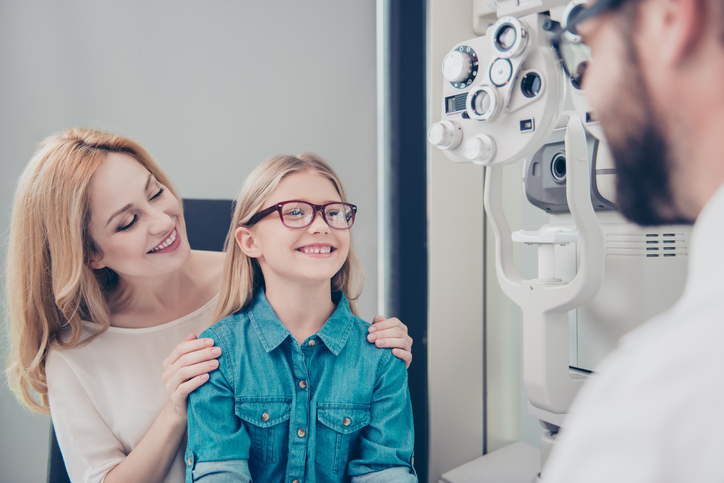 Reassuring patients that their eyes are healthy and their vision is excellent is a great strategy for connecting to a patient’s emotional needs. Utilizing advanced technology, such as fundus photography and screening tests, are excellent strategies to not only increase patient revenue, but also guarantee compliance for annual checkups to compare previous test results to current ones. It’s no secret in the age of selfies and filters, and constant posting of photos, people are very focused on how they look. In David Brooks’ book, “The Road to Character,” he writes that the rate of narcissism has increased by 30 percent in the last two decades. In optometry, we have a unique advantage in that we may help our patients to look their best. For those interested in ridding themselves of glasses, we can offer contact lenses. For those patients interested in glasses, we can present our optical options using word choices like “trendy,” “fashionable,” “stylish” and “attractive” to bolster the confidence of our patients. Making the optical experience fun, and focusing on improving, not only vision but appearance, will foster a deep connection with the patient’s emotional needs and increase overall satisfaction. Even more than the increase in narcissism, in the last decade, people’s impatience has skyrocketed. We live in a world of Amazon Prime where you can search for just about anything and have it delivered to your doorstep in 48 hours. (This is incredibly dangerous for parents, as I have had to intercede before one of my children placed a Russian army tank – not a toy – into our Amazon cart). Patients don’t want to wait, and they certainly don’t want to be hassled. A great strategy for avoiding hassles is pre-appointing yearly exams and using verbiage to inform your patient that you are making their life easier. Although it’s hard to believe, according to a CBS news broadcast, even a voicemail can be viewed as a hassle, especially by Millennials, who choose to do most things online. The good news is, you can satisfy your patient’s emotional need to avoid hassles by simply asking them how they prefer to communicate – via phone voice message, text message or old-school reminder card. Finally, nothing aggravates patients more than having to wait for their exam. If you are running behind schedule, have your staff keep the patient informed. Patients are less anxious when they have communication, an explanation or an approximate timetable. A personal apology also goes a long way in reducing frustration. When a patient has nothing else to do while they wait, they watch the clock. Therefore, make your waiting room enjoyable. Keeping things fun and lighthearted is an excellent way to help patients have a more emotionally connected experience at your practice. Make your waiting room an enjoyable experience. Consider offering complimentary Wi-Fi service to allow patients to use their electronic devices while they wait. According to a study by Software Advice, 60 percent of those surveyed felt access to Wi-Fi would minimize their frustration in a doctor’s waiting room. Consider having a few inexpensive tablets for patients to use while they wait. You can have them available at the front desk. This is a great option in our electronics-crazed world. The customer experience is a critically important driver of emotional connection. If a customer is emotionally connected, they are more loyal, more likely to spend money at your practice and much more likely to refer new patients. 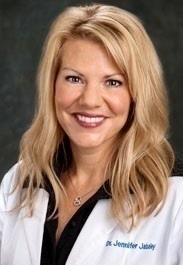 By utilizing some easy ideas to optimize patient connection to your practice, you will see greater perceived customer experience, value and financial returns. What have you discovered about giving patients what they need to feel connected–and content–with you and your practice? What Appearance Requirements Can You Impose on Employees?